IT’S EASY TO BE PART OF RIDE & ROCK RELIEF. 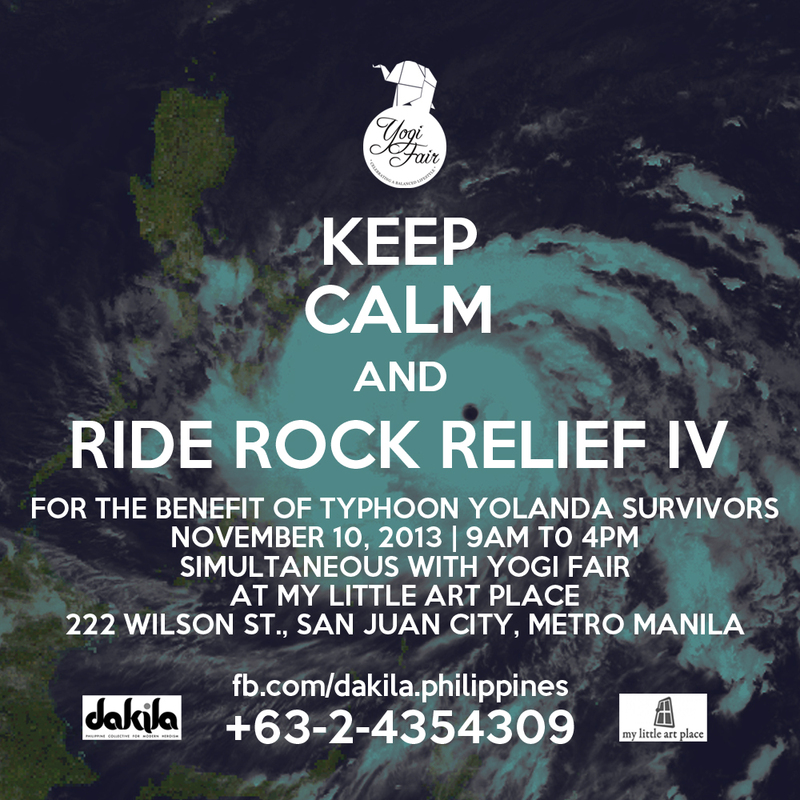 Yogi Fair is opening its doors to DAKILA‘s Ride Rock Relief program. On November 10, 2013, from 9am to 4pm, My Little Art Place will be accepting relief goods for our brothers and sisters in Visayas who have been severely affected by super typhoon, Yolanda.In times of great calamity, we invoke the spirit of bayanihan and reach out to fellow Filipinos in need of our help.We can build and rebuild our nation with our own hands. We are calling on Artists, Cyclists, Sponsors, Donors and other individuals who could donate their talent, time, and relief goods for our brothers and sisters in Visayas. See you at the fair! Namaste.